Cambodia, which was historically known as the Khmer Empire, is a truly exotic place that overflows with rich history and remarkable tourist spots. Moving to Cambodia can be a very different experience for expats who are used to the hustle and bustle of city life, but Cambodia undoubtedly offers an eye-opening and one-of-a-kind adventure! Cambodia is set to embrace an upbeat new beginning, backed by strong and overwhelming support from the world community. Expats will be glad to know that the nation is gradually being rebuilt to rekindle its former glory. Surrounded by Thailand, Vietnam and Laos and bordering the Gulf of Thailand is Cambodia, which features a stunning landscape of low, flat plains, domineering rivers, remote jungles and mountains in the southwest and north. At present, Cambodia holds a population of 15, 684, 106 people with expatriates making up 10% of the population. The country is best experienced with a view of its most important historical highlight - the Angkor ruins, now a certified UNESCO heritage site. It is also a storehouse of some of the world's most majestic sights, such as Phnom Penh's French colonial architecture, the captivating Angkor Wat and other temples, the Elephant, Cardamom, and Dangrek mountains, and national parks like Bokor and Virachey where endangered species are sheltered. Cambodia's heritage takes root in the Angkor monarchy, which was a powerful empire that ruled the country's northwestern provinces, including what are now Thailand, Laos and Vietnam. Although the reasons for the monarchy's decline are still unclear, its legacy lives on in music, dance, and other traditional arts. Cambodians pride themselves on paying utmost respect to their elders; a custom that most expatriates are aware of and glad to embrace as their own. The traditional checkered scarf, known as the Karma, is as unique as it is versatile - ranging from a fashion statement to a hammock for infants. The Sampath gesture, a favorite greeting or salutation in Southeast Asia (Namaste to the Indians), is deemed ideal when showing reverence to an older person. Cambodians also believe that a person's soul is in his head. Hence, touching somebody's head with one's foot is considered gravely disrespectful. Although the Khmer Empire was enormously influential during its time, only about 55% of the Cambodian population is still of Khmer origin, with Khmer being used as an official language. The people are a mix of Chinese (45% of the population), Vietnamese and Cham or Khmer Loeu. Expats in Cambodia are fast growing in number and may soon have a significant part in these statistics. Expat seeking out employment opportunities in Cambodia will find that the major industries in the country include garments, construction, agriculture, and tourism. Religion is predominantly Buddhism, with about 95% of the population being Theravada Buddhists. Cambodians may be looking at a long, tough road to recovery, but they haven't stopped laboring for that day to come when life is painted not by the grim colors of their past, but by a rainbow of hopes and dreams that turn into reality. Relocating to Cambodia entails importing a number of personal possessions from one's home country. Lucky for expats, this country is one of few where shipping regulations are at a minimum. Removal companies or movers in Cambodia can provide a complete list of these requirements which include documents such as a detailed list of items to be shipped alongside their individual values in English, a copy of the shipper's passport, a request for duty-free status and insurance documents as they apply. Some items can be dutiable and are subject to restrictions, including those less than six months old and anything packed in boxes that look "new". Guns and other weapons, as well as ammunition, may be allowed, but certain conditions have to be met, and permits have to be submitted. Entry of these items may also be allowed on a case-to-case basis. Drugs considered illegal will not be taken in, along with any pornographic material in any medium. Those bringing in cars will have to pay duties and taxes regardless of whether or not these vehicles are new. Only left-hand drive vehicles may also be imported, and they must come with a certificate of registration that includes engine and chassis numbers, proof of ownership and an invoice to prove the vehicle’s current market price. Preparing documents and other requirements for overseas shipping can be time-consuming if not taxing. But with professional service providers specializing in removals to Cambodia, the process can be a whole lot simpler. 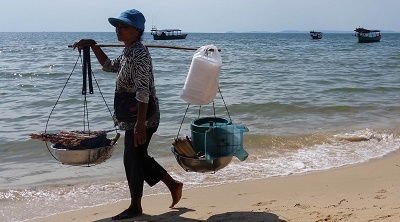 There are three most important industries as far as people looking for a job or already working in Cambodia are concerned - charity, teaching and tourism. As everyone knows, Cambodia is slowly rebuilding itself with the help of many international communities. Thus, charity work positions are in abundance as well as jobs in its tourism industry. Teaching jobs are quite a number, as well as the government, promotes education as an important step on the path towards growth and progress. 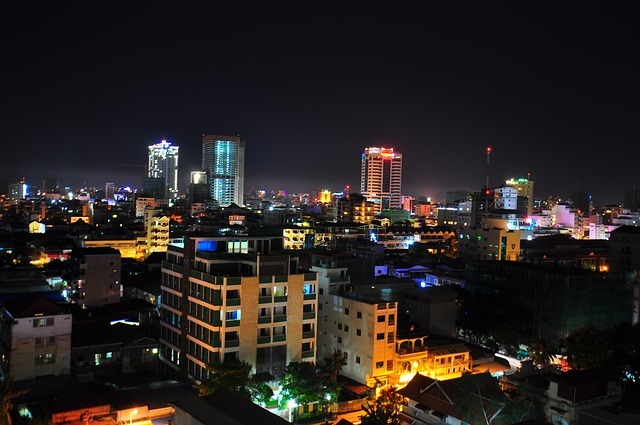 Major Job industries in Cambodia include the garments, construction, agriculture, and tourism sectors. Cambodians are known to start their day early, and expats who are already living in Cambodia can always attest to this. This early rising habit of locals makes punctuality very important in the workplace. Sometimes, people may be expected to start working even before the time they are supposed to. The same thing goes with starting a business meeting earlier than scheduled. Business etiquette calls for a dress code that is more on the smart-casual side, but everyone is expected to come to work looking clean and decent. In Cambodia, there is a tendency for one to be belittled when being overly persuasive about something. It is best to tell the facts straight and let the Cambodian professional decide whether or not a proposal is acceptable. People also regard a show of emotion as a weakness, especially during business meetings. The average monthly salary earned in Cambodia is 1,000 KHR. Typical working hours begin at 7:30 am and end at 5pm with a two-and-a-half-hour break beginning at 11:30am. The cost of living in Cambodia may be considered comfortable enough for expats, especially those from economically stable countries. 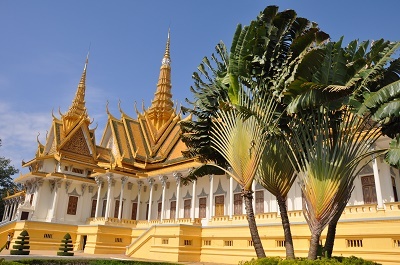 In general, Cambodia is far from an ideal place that foreigners may consider as a second home. However, for those who want to be a part of a nation's rebuilding, Cambodia is clearly one perfect opportunity.